Whether you like breakfast, brunch, or brinner (breakfast for dinner), you are going to love these no-fail light and fruit-filled crepes. 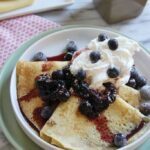 Whether you prefer breakfast, brunch, or brinner (breakfast for dinner), you are going to love these no-fail light and fruit-filled Blueberry Crepes. 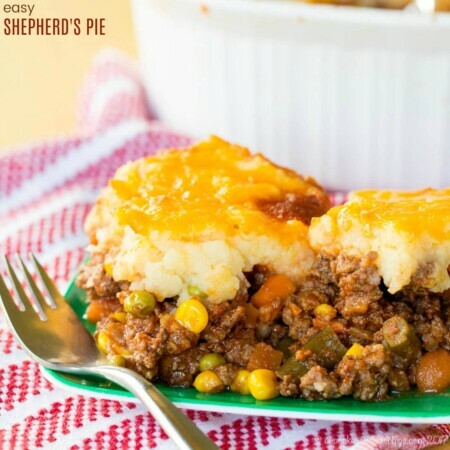 Do you create a weekday supper theme at home? I did that for a while and always ended up with ‘Whatever Wednesday/Thursday/Friday’ because it’s just the two of us at home and by dinner time, we were still ‘half’ full as our offices provide us with scrumptious lunch daily. However, if I have to pick one theme for the rest of my life, I think it will be breakfast for dinner. Well, thanks to Brianne for adding me as part of her team this year. 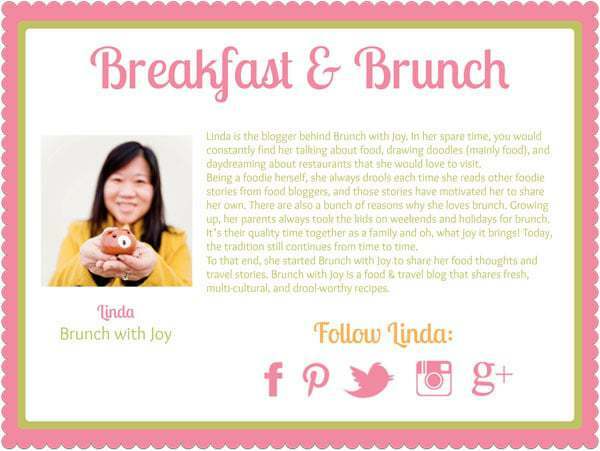 We both met through Sunday Supper Movement and I always love visiting her site. Being a breakfast person, I just can’t skip this breakfast section or this 100 Sweet & Savory Brunch Recipes. During college years, IHOP was one of the favorite place to go for me and my friends. The late night tummy growls after intense studying often called for another portion of pancakes. So, we marched into IHOP, armed with our textbooks and laptops, and stayed there for 2 hours or so. Oh, the joy of studying and having breakfast at midnight! 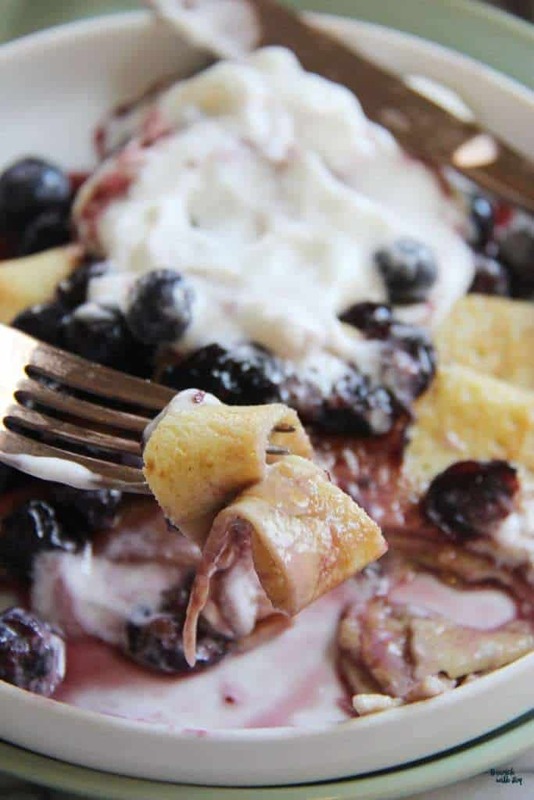 Fast forward, brunch happened every weekend in our home and today I’ll share with you a no-fail blueberry crepes recipe. People say the simplest breakfast are often the most delicious. Much like this blueberry crepes, it doesn’t take a lot of ingredients to form an addiction. It’s the perfect flavor for a light, early Spring breakfast. 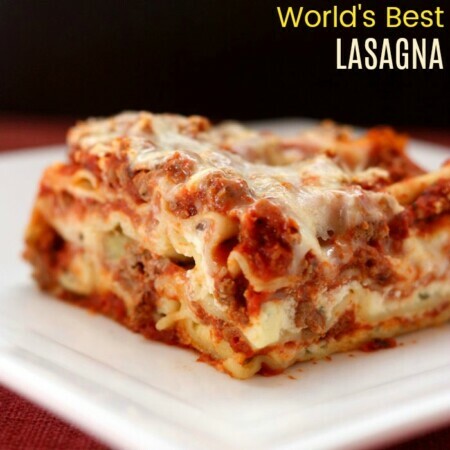 If you’re a newbie in the kitchen, this recipe is a must try. It’s so simple and yet delivers one of the best breakfast items. And if you’re feeling extra fancy, add a scoop (or more) of vanilla ice cream. Combine the ingredients for crepe batter in a bowl and whisk until smooth. Let it rest 30 minutes - overnight in the fridge. 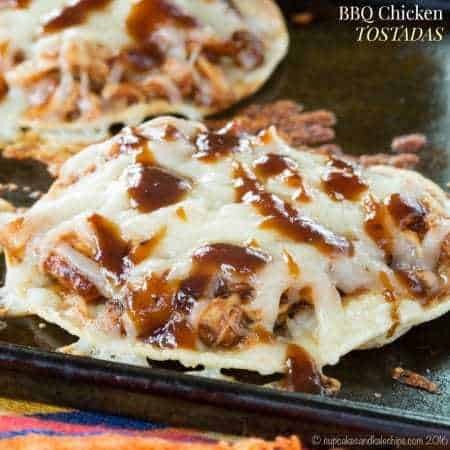 When ready, heat a lightly oiled griddle or frying pan over medium high heat. Scoop the batter onto the griddle, using approximately 1/4 cup for each crepe. Tilt the pan with a circular motion so that the batter coats the surface evenly. 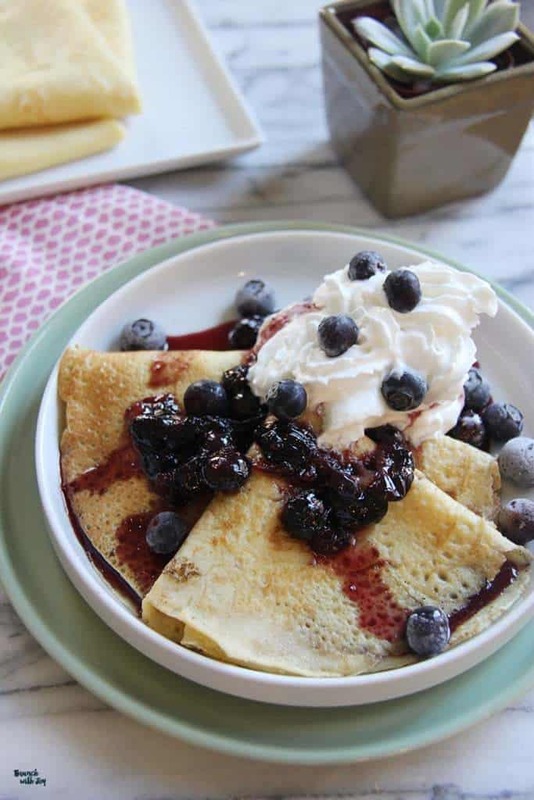 Blueberry syrup: simmer over medium low heat for 10 minutes and serve over crepes. Optional: you can top the blueberry crepes with whipped cream and fresh blueberries. 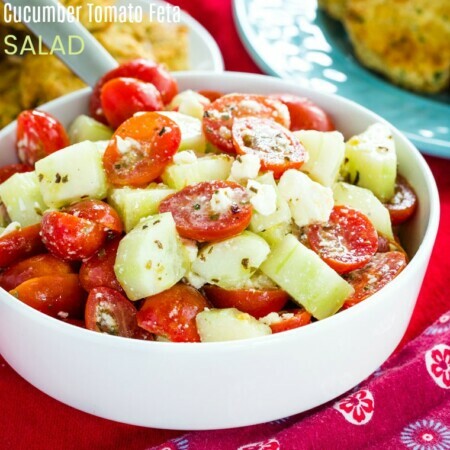 I just want you to know that I adapted your recipe and posted it on my Instagram @easygourmetliving. Thank you so much for sharing it. ????✨???????????? Hello Jennifer! I’m so happy to hear that you enjoyed the blueberry crepes recipe. I look forward to checking out your Instagram account to see how your version turned out.